What is Criminal Justice? The criminal justice system is one of the most important institutions in American society. A criminal justice system that is honest, fair, effective and efficient is essential to our quality of life and general peace of mind. Individuals who work within the criminal justice system determine its fairness. The mission of the faculty of the Department of Criminal Justice is to provide our students with a practical educational background in all facets of the criminal justice system. We believe students must develop a thorough understanding of the practical and theoretical aspects of criminal behavior. It is imperative that criminal justice practitioners receive an education that will provide both strong general education skills as well as a thorough understanding of the criminal justice system and its processes. What degrees do you offer? We offer a Bachelor of Science in Criminal Justice degree through the College of Arts and Sciences. For students who have already completed their undergraduate degree we also offer a Master of Science in Criminal Justice degree through the School of Interdisciplinary & Graduate Studies. Our degrees are available both on-campus and on-line. For students with a Master's degree earned, we offer a Doctor of Philosophy in Criminal Justice (PhD) - which is an on campus program. The Director of Graduate Studies is Dr. George Higgins - (502) 852-0331 or send an email to gehigg01@louisville.edu . What careers are available with a Bachelor of Science in the Criminal Justice degree? Nationally, almost 2 million people are employed in the criminal justice system. These jobs include those of police officers, special agents, criminal investigators, corrections officers, probation and parole officers, correctional treatment specialists, criminal records managers, court referral officers, court managers, security specialists, crime prevention officers, victim advocates, juvenile service workers and criminal justice planners. Careers in criminal justice are rewarding and challenging. For an overview of careers in the criminal justice system go to http://louisville.edu/justice/current-students/job-opportunities. Who are the faculty? The foundation of our educational program is a committed and active faculty. Due to the expertise of our faculty, a number of partnerships have been developed between the Department of Criminal Justice and national, state, and local criminal justice agencies. Through these partnerships opportunities arise for students to pursue research and gain practical experience with community agencies. You may acquaint yourself with our faculty at http://louisville.edu/justice/about-us/faculty. Who will be my advisor? 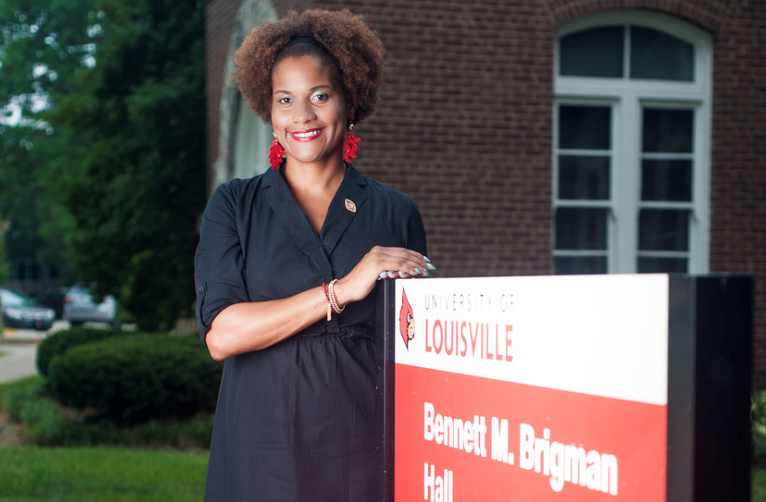 The Department of Criminal Justice has two full time professional advisors assigned to the department to work with Criminal Justice majors: Ginger Brown (M.Ed University of Louisville) and Kim Hendricks (M.Ed University of Louisville). To schedule an appointment for advising call (502) 852-6567 or send an email to mailcj@louisville.edu . Graduate students should contact the Director of Graduate Studies, Dr. George Higgins, at (502) 852-0331 or send an email to gehigg01@louisville.edu . How do I declare Criminal Justice as my major? The easiest way to declare our major is to schedule an appointment for advising. Our advising staff will provide you with a complete program plan for our degree and will approve your major and update the University Student Records System. To declare CJ as your major visit: http://louisville.edu/artsandsciences/advising/apply/apply-for-your-major.html. Do you offer a minor in Criminal Justice? Yes, for students pursuing any other degree program at the University of Louisville a minor in Criminal Justice is available. Our minor is a 21 credit hour concentration of CJ courses. The requirements for our minor are: CJ 200, CJ 201, CJ 202, CJ 305, CJ 306, CJ 360 and a 300+ CJ elective. To declare your minor visit the http://louisville.edu/artsandsciences/advising/apply/apply-for-your-major.html. Where is the Department of Criminal Justice? Our offices are located in Brigman Hall, Suite 205, University of Louisville, Louisville, KY 40292 (502) 852-6567. For additional information and current department news visit: http://louisville.edu/justice. How do I apply to the University of Louisville? Visit http://louisville.edu/admissions/ for undergraduate admissions or http://graduate.louisville.edu/sigs/apply for graduate admissions. I've been admitted, what do I do next? Call and schedule an appointment to see Kim or Ginger (502)-852-2686 or email us at mailcj@louisville.edu . When do classes begin? For the current academic calendar year: http://louisville.edu/registrar. What classes are available this term? For a complete listing of CJ courses: http://louisville.edu/registrar. What are the minimum computer / technological requirements for taking on-line courses? We encourage all students to read about the technological requirements for online learning to decide whether you have both the hardware and technical skills to take an online course. Visit http://louisville.edu/online/Student-Resources/tech. Welcome to the Department of Criminal Justice! As the Department Chair and proud alumna (c/o 2001), I am excited to commemorate our upcoming 50th Anniversary. Since 1969, our Department has prepared thousands of criminal justice practitioners. We are one of the oldest Criminal Justice (formerly Justice Administration) programs in the country.